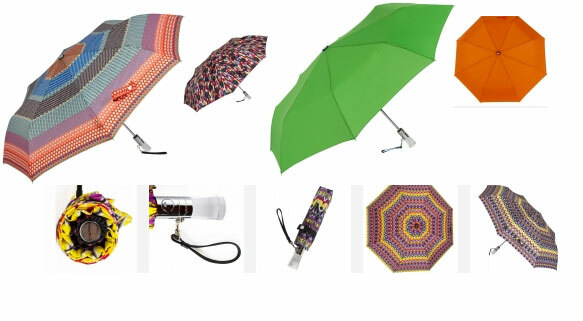 Lets us brighten your rainy spring days with ShedRain Umbrellas! When the skies shed tears, you ShedRain. These bright and beautiful folding windproof umbrellas with lifetime guarantees will brighten any gloomy rainy spring day. So make a statement with this auto open and close compact fashion umbrella. If your clothes look fashionable, so should your umbrella too! The clear acrylic handle and chrome accents will make you the eye of the storm. The teflon treated canopy mames them completely water resistant. This entry was posted in Umbrellas and tagged cute umbrellas, green umbrellas, orange umbrellas, printed umbrellas, shed rain, shedrain, windproof umbreallas by AmeRain2. Bookmark the permalink.